When people start their adoption journey, one of the most common fears I see is the anticipation leading up to the home study. I was no exception to this fear. The idea of having someone possess the ability to dash my hopes and dreams of becoming a parent again was terrifying. What if they didn’t like my furniture? What if my personality rubbed them wrong? What if they saw the dust I forgot to wipe off the ceiling fan? What if I had too many pets? A million what ifs. So what is a home study? It was a two minute phone call about two and a half years ago that changed my life. “We have a pre-adoptive placement. A two year old boy. He has a lazy eye. That’s all we know.” I said yes. No hesitation. No name, no other information, just a lazy eye. I have a lazy eye! Our daughter has a lazy eye! He will fit right in! The next day a little mop topped Hispanic boy showed up with a social worker. He had been in a relative home for about 10 mos, but was being kicked out with only 24 hrs notice. He was calling the social worker mom, and he called me mom instantly. He was clinging and clearly scared. He liked to dance, and that is how we calmed him, music and dancing. We were about to learn some things…and fast. His birthmom stopped visits shortly after his placement with us. She will voluntarily terminate her rights. She has AODA (Alcohol and Other Drug Abuse) issues. We have only met a few times in court. I see her love for him, but also see she knows she is doing what is best. We learned after we had him for several months that he had been born dependent on drugs and had spent his first 5 weeks in the hospital. We learned of his severe neglect as time went on…the information trickled in to us. It took a long time for us to get his full story. I suspect we will find out more when we get his adoption packet. He had very few social skills when he came to us, a store was too much stimulation, and caused him panic. He would hit and kick. I don’t think he had ever seen a park. He has long raging tantrums, they are violent and can last for an hour. We believe he is ODD (Oppositional Defiant Disorder), and he is currently medicated for ADHD (Attention Deficit Hyperactivity Disorder). He is incredibly impulsive. He has very big abandonment issues and will panic if he thinks you are leaving. If you have shoes on before his are on, his world crumbles. It causes panic. This is an improvement from where he used to be. The damage done at young ages is real. He is very smart though. He may be behaviorally challenged, but he is SO smart. He is already starting to read and is ahead in 4k (4 year old Kindergarten). He started spelling small words even before 4k started. This from a boy who needed speech therapy and was behind in talking when we first met. He has an amazing memory as well. Like most kids with ADHD, he also loves his electronics and video games, and those are great as rewards. His lazy eyes have also been fixed with a regular sleeping schedule. Because previous caregivers have been woman, he projects a lot of anger onto me, his mom. I understand that, although it doesn’t make it easy. He has never had a positive male figure, so dad is a superhero. He also worships his big sister. He has a typical sibling relationship with his little brother. It’s beautiful. He has a lot of potential, if we can get his behavioral issues managed. He is challenging, but adorable. He is scared of leaving and that is tragic at his young age. I feel like the system is failing him by the length of time he is in it…and that laws need to change to reflect this. This is a legal risk placement, adoption isn’t a guarantee. To this day, we are still fighting and its been 28 months of placement with us. He is now four and a half years old. We have just recently gotten a termination of parental rights, but his biodad is appealing. He is in prison and has been since our son was 6mos old. He cannot get out until he is 9. Yet, he is appealing, thinking he should have to wait for him to get out, establish a relationship, since they do not know each other and he can then try to parent. He sees this as fighting for his son. I see it as fighting against him…keeping him as part of a legal system, rather than letting him move on with his life, and with the only family he knows. He is our challenging little boy. But we love him with his challenges. That two minute phone call, with no information…it was life changing. It brought us our son. We will continue to fight for him, and get him to his adoption day. He deserves his chance at feeling safe, and having happiness. So do we. It’s a long hard road…but we will get there. Tomorrow is the adoption day for my youngest son. He is 22 mos old. I have known of him since before he was born. We had gotten a call during his birthmom’s pregnancy, telling us little, just that a mom may need her baby placed, and our name was brought up as a possibility. Fast forward a few more months…and we were just ending an emotional, media frenzied placement. My husband and I were discussing quitting foster care. I was emotionally drained. It had only been a week since the last placement had ended, when we got the call. This mother was in labor, and the newborn would need to be placed. My heart raced. We were quitting! But I was already thinking about baby supplies. I asked for time to think. I was offered an hour. I texted my husband, who responded something like, he was in if I was sure…or something close to that. It took only 5 minutes for me to reply to the worker that we wanted the baby. I knew this was a foster care placement. I also knew they thought it would be long term. This scared me. I knew it would be another hard, emotional case. I tried to begin preparing myself. I waited to hear that the baby was born, and found out it was a boy. We had all girl things!! We needed to shop! And so we did! My husband actually really got into shopping for a little boy, it was fantastic. We went to see him in the hospital, and found he was being released to us. I let my daughter, 12 at the time, hold him first, as I filled out the paperwork. My husband was home with our other son (who we are also trying to adopt from foster care, he was almost 3 at the time). I saw this baby, and I knew I was in trouble. When I held him, and he wrapped his hand around my thumb, the wall I tried to build crumbled. We became a team in that moment. My son never took a pacifier, attached to a blanket, or a stuffed toy. I have always been his comfort item. We have an incredible bond. My son’s birthmom has a mental illness. Her inability to parent is not her fault. This causes me great guilt. Her illness also causes me fear. She was given the opportunity, once stabilized with medication, to try to demonstrate the ability to parent. 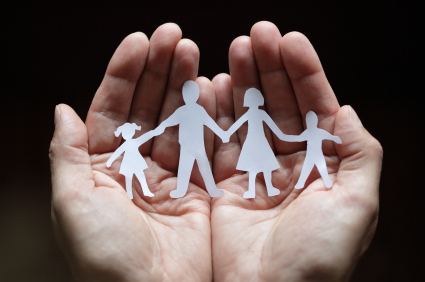 The initial goal in foster care is always reunification. Because of her illness, I was always afraid for this little boy. I know she loves him, without a doubt. I also know that what she does sometimes is not “her.” I had to trust the social workers, and this was very difficult. I cried a lot of tears. I felt incredible guilt, because I was trying so hard to help his birth mom too, as is my role as a foster parent. I would give her tips, and prompts and help along the way. But, the reality was, I wanted to adopt more than I wanted air to breathe. I could not imagine this child anywhere else. I felt selfish. I knew her illness was not her fault, and I felt horrible that this was happening. But, I also knew what the right thing was…and it was for him to be safe, with us. Suddenly, when our son was 15 mos old, his birth mom announced that she wanted to let us adopt. It took me by surprise, and I don’t think I have ever sobbed the way I did in that moment. When I left that visit, I tried to tell myself not to be too hopeful, that she may change her mind. But, she never changed her mind. This is what she wanted. We never did another social worker visit after that. I continued visiting with her family, and she came to those visits. I am glad for that. I want him to know her, and her family too. I know she made the decision out of love. They have a bond, and I want the bond to continue. I think she recognized that the case wasn’t progressing, and I think she wanted it to be a choice, not something taken from her. I think it was a healthy decision. The birth father has never been in the picture. When he found out about the baby, he immediately wanted him adopted by us, citing the bond we had formed. Nothing about foster care adoption has been easy. Until the petition for adoption is signed, I will worry that someone can take him. Family always has priority to foster care placement. We have been fortunate to have a relationship with family who wants to be involved, but not take placement. But, that involvement also gives me some fear until the date of adoption. What if they changed their minds?? That fear seems irrational with no basis, but it is still there. I don’t think its abnormal to have fear. Its also such a long process. But the end is worth it. So very worth it. This post is for those of you that are stuck between trying to conceive, treatments and contemplating adoption and/or foster care. Or for those of you who are just interested in foster care, but have biological children either living at home or are already grown up. And this post also tells my husband’s and my story to parenting, plus a small snippet of our life as foster parents. Despite some of the more difficult things about adoption and foster care, my recommendation to you wondering what to do next is… if you really want to parent then do it! Stop trying to conceive (or at least simultaneously along with IVF/IUI) and move on to adoption. Adoption offers so many wonderful and challenging things, but the good far outweighs the bad. Foster care is wonderful too, (again challenges) but being a foster parent is the happiest thing that I’ve ever done, at least this time around. We weren’t ready the first time (3 yrs ago pre-IVF). Now instead of pouring my heart and soul into horrendous shots and procedures, I get to pour my heart and soul into children’s lives. It is rewarding and it takes away the time spent just wondering and willing myself to be a parent. I am no longer stuck waiting. I am just parenting. It may not be official, but I am finally a MOM! Some days are hard with 2 babies under 1. But at the end of the day, I can look back and say that I made a difference today. My kids are 9-month-old, James and 5-month-old, Riley. Both came to us at birth. We were initially attracted to foster care because my in-laws fostered several children for about 6 or so years. They adopted a young lady at 12. She came to them at 10 and she is now 17. She is still learning and growing, but it is amazing the story she has to tell and the growth she has shown over the last several years. We were very involved with my in-laws kids and wanted to help children as well as start a family. All of their biological children were married and grown when they decided to foster. We were just starting our family. The cases they took were very challenging. They were a treatment home. We decided to foster babies. There are many different paths to take as well as many different types/ages of kids to help. We had a brief stint with fostering in 2010 when we fostered twin 4-month-old babies. These babies are no longer with us and after that placement we closed our license and decided to pursue fertility treatments. They are now in a loving adoptive home, but their case took 3 years to get to that point. It took a lot to get us to foster again. I firmly believe that everything happens for a reason and we may not always understand those reasons while we are suffering and even sometimes after the clouds have lifted. I believe in God and I believe in Jesus as my Savior and I believe in the power of the Holy Spirit. They are the driving force in my life for why I do what I do. I would not be a foster parent or any kind of parent without them. To get to where we are now was a process. We needed the IVF process to strengthen our marriage and prepare our hearts to love children that may end up back with their birth families. John and I will be married for 10 years this March. Three years ago was when we really decided that we wanted a family. John wanted one right away, but I wasn’t ready. I knew the responsibility of children was great and I wanted to make sure that it was something that I really wanted. We tried to conceive on our own for a while but nothing happened. Throughout our marriage we never really used protection to stop a surprise pregnancy. I knew something was wrong, but never wanted to admit it. Then we got tested. I had blocked tubes from a surgery I had as a kid. It caused a lot of scar tissue around my tubes. I also have endometriosis. My husband had low testosterone and 0% morphology. After one IUI, we did a laparoscopy and decided to proceed straight to IVF. We spent a great deal of money and emotion and heartbreak on IVF. We did 4 tries, 2 pregnancies, and 2 miscarriages when we decided to call it quits. It was hard on my body, it was hard on our careers, and it was hard on our emotional state. It would have been all worth it if we took home a baby. Now I know we needed it to get to where we are today, but it is still painful looking back. We moved on to infant domestic adoption and were matched right away with a birth mom through an attorney. She ended up changing her mind 5 weeks before her due date. Our almost daughter turned 1 last month. All of the past attempts to start a family were so emotionally draining; yet I still felt God pulling us into foster care. My husband wasn’t fully on board yet due to us having to complete all of the training again. 36 pre-service hours and then another home study. We had a friend who had 3 foster sons who needed to be adopted: twin 4 year olds and a 6-year-old older brother. They are really adorable kids. The older one looked so much like my husband and they were fun and we were smitten at first. We quickly realized that they had too many needs for us to handle being first time parents. Something we could have done, but they would be our only children and I still desired to start our family from infancy. We were also looking to adopt them alongside the baby girl and knew that it was too much to start out with so we ended up not adopting them, which put us back at square one. Those boys gave us a gift. They allowed us the strength to do the training process to foster again. We did it for them. Once it was completed and we had already made our decision to not adopt them, we decided we might as well be open to receiving other calls to foster and/or adopt another child(ren). I owe those boys everything; they brought us to our James. (They are now transitioning in another adoptive home). We were officially licensed on May 3, 2013. We got the call for our first placement on May 6th. After about 2 hours of pondering whether to accept the placement, we accepted. Two kids showed up on May 8th, a cute, blonde, 8-year-old and a teeny tiny, 10-day-old baby boy. When I first met James he was wearing only a white onesie and was sound asleep as the social worker placed him in my arms. It was a rather difficult adjustment because it was our first time back as foster parents. It was this little girl’s first time in care (We will call her K). Everything was new for all of us. It was hard to balance the needs of a newborn with all night feedings, alongside driving her to school 45 minutes away. It was the last 2 weeks of school and we wanted her to finish the year at her familiar school. After one week, where I don’t believe I slept at all, K went to live with her great aunt. Guilty, I was a bit relieved. She was a very sweet kid, but I don’t think I was quite ready for the sass that comes with an 8-year-old. I have bonded with her now and she is welcome here anytime. We thought both kids were leaving, but it turned out that our James got to stay. I had a long conversation with the aunt over the phone and ended up telling her our reasons to foster and also about our infertility. She always tells us what amazing people we are. She too, is amazing to take in her niece when her niece needs her the most. We hit it off and she has been our biggest advocate towards adoption of James. At that time, we didn’t know the future we would have with him. We were getting very attached and at the same time preparing our hearts to have him leave us at some point – most likely when he turned one. I didn’t think I could love him a whole year, have him call me mommy and we grow to love one another and then he would leave us. My husband once told me that if he didn’t parent “all in” then he didn’t know another way to parent. So that is what we did. We treated him as if he were our biological son. He felt like he was anyway. There were times early on in our placement with James that I still wanted to conceive a biological child; one who matched my husband’s and mine mixed DNA. I wanted to play guess the gene game. I wanted to name my kids myself. Most importantly, I wanted to not have to drop him off to visit his birth mother and feel my heart get ripped out of my chest while I waited the 2 hours to pick him up. Everyday he felt like mine and then once a week I remembered he wasn’t. I did not fall in love with my foster son and daughter; I grew in love with them and now cannot imagine life without them both. I actually was worried that it would take more time to grow in love. I worried that I wouldn’t immediately have a connection with my child through biology and IVF or adoption. I worried that I would want my easy old life back. But I do NOT. I want my foster son to be MY son and my foster daughter to be MY daughter and I want more kids too! Funny how time and age matures me! During the tough days, I remember these words and thank my friend for them. James will be officially adopted (Feb. or March 2014). I am happy to say that I am a foster parent to a wonderful, perfect (I can’t imagine a more perfect) little boy who I love so deeply it hurts. It hurts because I can’t imagine the thought of ever losing him. I can’t imagine the devastation that it would bring my husband who if you watch him he is so enamored by this little guy. And he is an extraordinary father! We feel the same way towards our daughter. It will always be a little hard to share him with his birth family, but I always will because I love him and I know that is what will allow him to grow up in a secure relationship with my husband and me. His birth parents are wonderful people who love him very much and are just working through some things in their life right now. I want them to get better. I want them to have a healthy relationship with me someday. I want them to get healthy for their 2 daughters who are old enough to understand what is happening. They are very supportive of us and asked us to adopt their son. They wanted him to have a better life. They are working towards reunification of the girls. They signed their rights away at court in November 2013. It was very emotional for his birth mom and us. She wrote me a beautiful letter and gave me a disc with photos from his birth. Usually a case takes at least a year before the county will discuss permanency, whether that is with the birth family, a kinship family or an adoptive family. The county will give the birth parents this time to work a case plan that usually requires them to get counseling, take parenting classes, take drug tests, and take substance abuse classes. Sometimes they need to get a job or move. The goal is to become clean from their addictions and into a safe environment for themselves and their children. Some cases are simple like James’ and others are more complicated like Riley’s. We got her from the hospital and the goal for her was 99% adoption, but legally they still have to give her mother the year to follow her case plan. Adoption and foster care are hard. Adoption and foster care are wonderful too. It is possible to have two conflicting emotions at once. I can despair what I do not have yet (in regards to fostering with no real answers to whether these kids will stay or go) and despair the challenges that adoption and foster care bring. And love what I get to be in these children’s lives and the other children we will hopefully bless as they will bless us. With adoption and especially foster care, it is challenging to strike a good balance between being respectful to the biological parents’ rights and feelings as well as showing them how much you love their/your child and being compassionate to them as well. You will have to decide how much openness you want to have with your child’s family whether fostered or adopted. These kids will always have two sets of parents, sometimes more. She is his/her mother in a way I will never know and I am his/her mother in a way she will never know, but together we are motherhood. Openness is a thing that will take time and you will grow in a relationship with the families as time moves on. We started out with a safe distance and gradually got to know them more over time. We are pretty close with James’ sister and her aunt. We feel like extended family to them. I feel like an aunt to K. I also feel like an aunt to the other sister who is with her biological father. You will learn that these relationships can be complicated, but also beneficial to the well being of your future child/adopted child. In Ohio, open adoption is not mandatory it is a verbal agreement between you and the birth family. In regards to domestic infant adoption that openness usually is respected. In foster care you have to do what is best for your child. 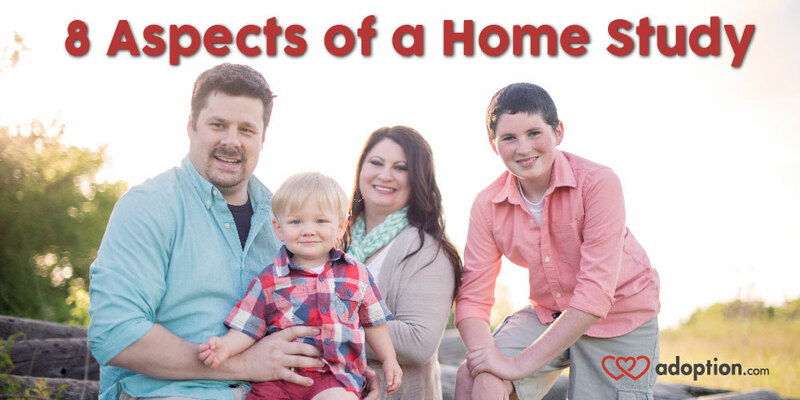 If the parents are abusing alcohol or drugs or in an unsafe living environment around people that are unhealthy and unsafe you may not allow your child to see his biological parents once adopted. During foster care they do see them at court appointed meetings usually for 2 hours supervised by a licensed social worker. Once adopted there is a goodbye visit where they will see their birth parents for the last time and then it will be up to the adoptive family to make decisions on what is best for their new child. Three years ago we would never have seen ourselves being so open with the birth families. Time and God changed our hearts. My husband wanted no contact with the birth families at all and now he enjoys hanging out with James’ family. With our daughter, we have not had the same openness. I do not know what the future will be like for her in regards to her and her relationship with her birth family. We will take it one day at a time. Whatever place you are in right now in the parenting journey, I would love it if everyone would consider foster care. There are tough kids and tough placements. These kids are hurting because they have been abandoned. They need good families to step up and intervene and sometimes save them from themselves. The older ones will test your commitment to them. If you make it through the testing phase the outcomes are so worth it! I won’t say it is easy because all parenting is hard. But parenting is worth it! There are stereotypes too and not all children from foster care fit into that mold. Many are newborns and adopted before ever going back to their birth families. All of us in humanity are working through something or have been hurt by someone. These kids are mostly just like all of us. 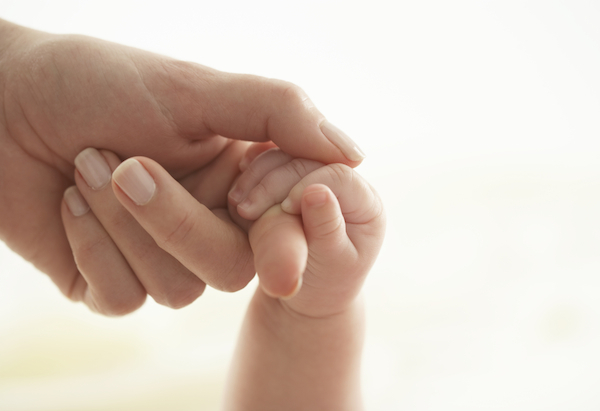 The foster care journey has a lot of unknowns, but not unlike any other way to parenting. Fertility treatments bring a risk. Will it work? Will I miscarry? How much will I have to spend? Even getting pregnant the first time you try brings risks. Will I have a healthy child? Adoption. Will the birth parents change their mind? And then foster care. Will I parent a child that is just going to leave? Will I parent a child that just doesn’t fit into my family? Will we get along? Will my foster child have major mental or medical needs? To all these questions the answers could be hard to hear and ultimately handle. My advice and encouragement to you if you are just contemplating this journey… open your hearts to love. I don’t want fear of all the unknowns to rob you of the biggest blessing and joy of your life. We want to be parents, right? If you are struggling with infertility or not, these kids need homes and the foster care world needs willing hearts! They will bless your life as much as you will bless theirs. There will be amazing times and hard times. This is what we call LIFE. 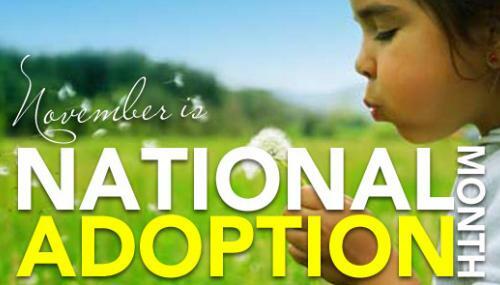 Every November we now celebrate National Adoption Month. The history of National Adoption Month is relatively new. As we learn more about adoption and the need for forever homes and advocating for ethical adoptions, the awareness continues to spread. Adoption Awareness is needed in many areas. First, helping find waiting children from foster care their forever homes is a huge priority. Every child deserves a permanent home and a loving family. There are many situations that can lead to their orphan status, but that does not make them unwanted or unadoptable. While foster adoptions are vastly needed, there are all types of adoptions that this month celebrates: Kinship adoptions, step parent adoptions, domestic infant adoptions, international adoptions, etc. This month isn’t just about celebrating the beauty of adoption or bringing awareness to the thousands of children waiting to be adopted. Adoption advocacy is also an important part of National Adoption Month. Working hard to learn about adoption and the long term effects it has on everyone involved is necessary. Helping expecting mothers find and develop the tools they need to parent when they are considering adoption is also a huge step. Advocating for adoptees rights to their original birth certificates and birth certificate reform, as well as promoting open adoptions is beneficial for their self-identity. When I met my daughter for the first time she was almost three months old. She was wearing a pink baby onesie with bloomers and on her tiny feet she wore socks with pink scrolling letters that said “I love my Mommy.” She had that baby fresh smell and as she was placed in my arms by our social worker I was also handed a bottle full of formula just mixed by her foster mother. This little girl, with the long fingers and big brown inquisitive eyes was my daughter at last. As we gazed at one another I wondered if she was thinking of her foster mother. I was her third ‘mother’ in three months, but I promised one thing that day – in my arms you will stay. As we drove out of the city I was overwhelmed with gratefulness for both my daughter’s birthmother and also for her foster mother who cared lovingly for her for nearly three months. Foster care allowed my daughter a safe environment to wait for us while we waited for her. Once we found each other, foster care allowed us to begin the process of foster/adopt immediately. This is not to say that we had not followed many steps to reach that moment in which I held my daughter. We had found a reputable agency, completed the seemingly unending application process, finished our home study with several visits, reached approval, were matched with our daughter and then ultimately our baby girl was placed with us. Almost one year later we finalized our adoption in court. Adopting from foster care is a laborious process but a fruitful one. When I share my story or talk with others about adoption from foster care most of the time I encounter a fearful response. You will find me taking a deep breath while I wait out the horrifying story of the one adoption they know of that went sideways. And when they are finally finished with that one story and proceed to tell me how brave I am to adopt from foster care, I tell them a few key facts. Generally, I can boil their fearfulness down to three areas. Fear: Foster children have complicated histories that ultimately make them unavailable for adoption. Truth: There are over 104,000 children who are legally free and waiting to be adopted in the United States from foster care. 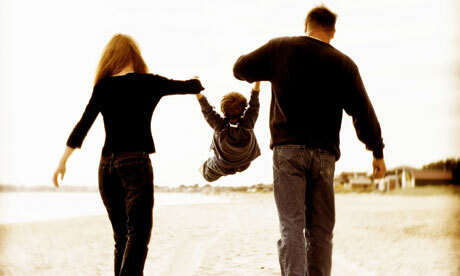 It is estimated that in 2012 alone over 58,000 children were made legally free and ready to adopt. Legally free meaning that both birthparents have legally terminated their rights and these beautiful children are ready and waiting for a family. This was my daughter. Fear: Birthparents return and disrupt domestic adoptions from foster care. Truth: Very few birth families will reappear after legally terminating their rights. Over 98% of legally completed adoptions remain intact. Those children in foster care in which reunions with birth families are possible work toward that reality. More than half of the children currently in foster care will be returned joyfully to their birthparents or extended relatives. We should rejoice in that statistic. But that leaves the remaining children who cannot be returned to birth families for a diverse range of reasons, and so they wait in foster care for families. This was my daughter. Fear: Children in foster care have special needs or things I can’t provide them. Truth: Kids in foster care are normal, regular kids. They need support, guidance, and someone to care for them like any child. Some children in foster care do have specific medical needs, yes, but not all. Post-adoption support and mentorship from your agency or support group can aid you in processing such needs if they arise. However, all waiting children in foster care do have hopes, aspirations, a need to be loved and celebrated, and a place to belong. This was my daughter. 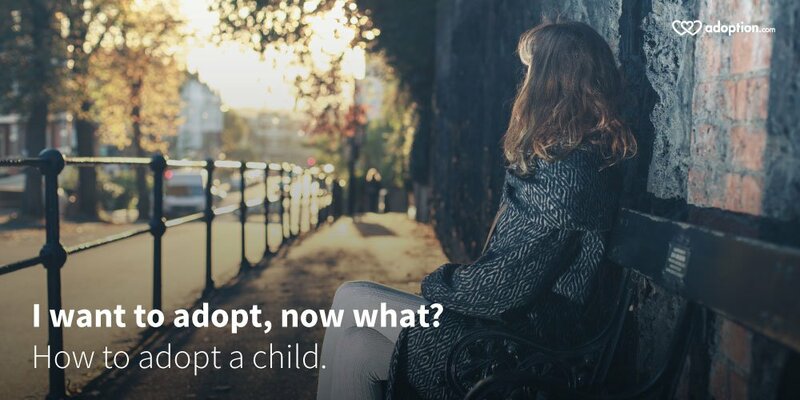 My hope is that more people would consider adopting from foster care. I’m not saying that sometimes foster adoptions don’t go as planned, and hearts get broken all around. Those things sadly do happen. But what I am saying to those considering adoption is do not be persuaded solely by that one story you once heard about foster adoption going badly, but rather look for and commit to care for a child from foster care who needs a family to champion them in life. Ten years after I first held her in my arms, my daughter is still just a regular kid, with a regular mom, and a promise made to never let her go.